Looking for another way to make nature hikes fun for kids? 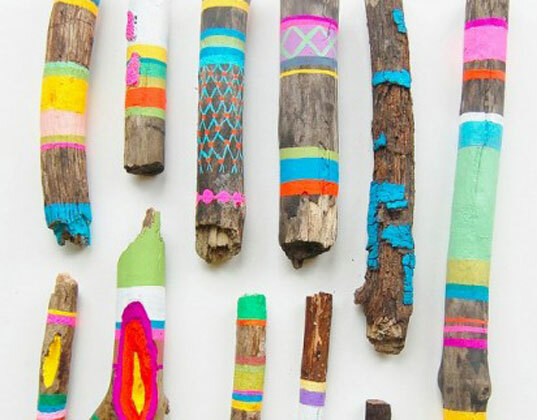 Have them collect sticks to paint once you get home in gorgeous patterns and colors as seen on Design for Mankind. Here at Inhabitots we think we’re pretty good at keeping you informed about the best ways to keep toxins out of your home. Find out how much you know by taking Lil Sugar‘s quiz on hidden nursery toxins. Is your kid more eco-conscious than you? One Babble writer shares her story. Check out Under the Sycamore‘s genius idea for displaying kids’ artwork and photo using old memory cards.